Cast your mind back to the turn of the millennium. Ford was on a roll: the Focus was Britain’s best-seller, rejuvenating the moribund mid-sized hatch market; the Fiesta was fizzy to drive, if flat to look at; and the Blue Oval pursued interesting niches such as the Puma small coupe, launched in 1997. And here we’ve a chance to reassess Peak Puma, the limited edition Ford Racing version. Join us on a retro road test review, as we travel down memory lane in one of the finest examples around - the original press car from the UK heritage fleet. 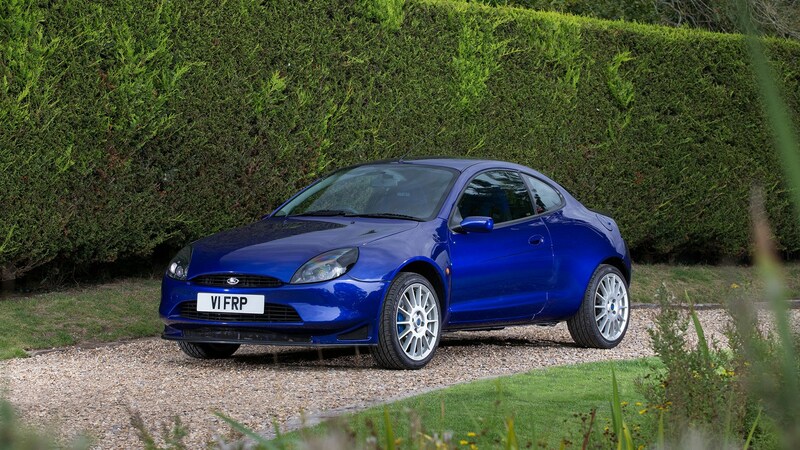 It's an apt time to revisit the original Ford Puma; the Blue Oval has confirmed plans to bring the nameplate back - on a compact crossover. Read all about the new 2019 spec Ford Puma SUV here. Ford showed a Puma ST160 concept car at the 1999 Geneva motor show, paving the way for a revved-up, go-faster version for road use. These were the days when performance sold and bosses sanctioned a limited run of 1000 cars for sale. 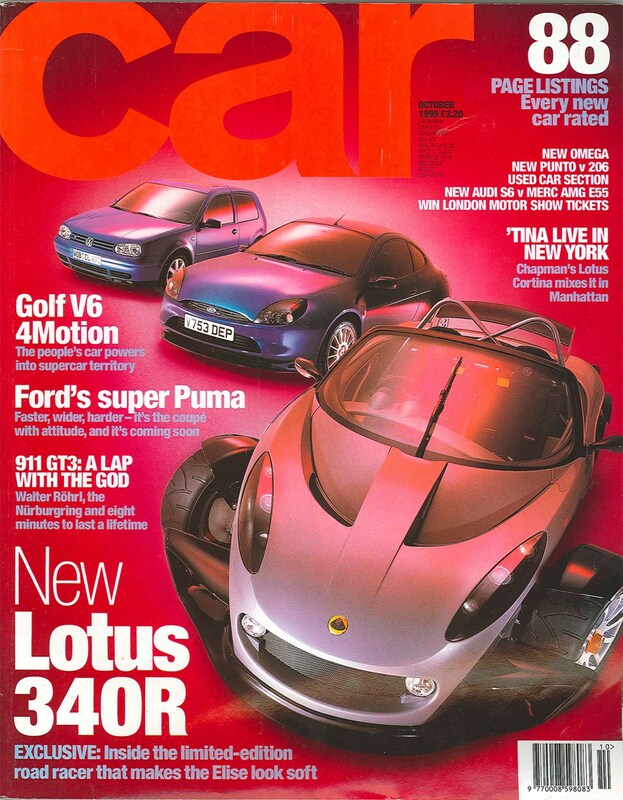 There was significant buzz about the go-faster Ford and it starred on the cover of CAR magazine in October 1999 (above), alongside the Lotus 340R and VW Golf V6 4Motion. Our man Jason Barlow explained how the Racing sub-brand was Ford's answer to AMG or M Technik. In the event, only 500 Racing Pumas were made, all for the UK market and sold between 1999 and 2001. It was a specialist bit of kit, developed by Ford’s UK engineering department and built by Tickford like earlier go-faster Capris had been. It was a recipe that turned the small two-door into something of a modern classic. Limited numbers, engineering provenance and a likeable end result have guaranteed its place in the pantheon of Blue Oval greats. Most notable change to the boggo Puma was the wider track (+35mm at the front, +50mm at the back), giving the two-door a ground-hugging stance and pleasingly blistered wheelarches. The bespoke bodywork is crafted from a mixture of aluminium and steel, to keep weight low yet inject a wider and noticeably more menacing aesthetic. All came in the distinctive deep Imperial Blue paintwork, reserved for many modern fast Fords from Cosworth to Focus RS. Note the new front bumper, incorporating a revised grille, a lower panel that sports cooling vents for the bigger brakes and a front air splitter. End result? Ford claimed 0-60mph in 7.8sec and performance feels brisk to this day, although it’s some way slower than many warm hatchbacks, now typically turbocharged. Traction via the limited-slip differential is impeccable and that thrust is deployable 24/7. The precise, mechanical gearchange and simple metal ball gearknob make it a pleasure to row up and down the beefed-up five-speed manual 'box to keep the raspy four-pot on the boil, though. This is a pleasingly DIY, mechanical kind of performance car. The RP rides on distinctive 17in alloy wheels wrapped in Michelin 215/40 low-profile tyres. Uprated springs, dampers and suspension geometry mean the Puma has a stiffer, more focused ride than regular or garden Pumas, but it's at home on a typical twisting British back road like the one below. Get used to the busy ride and the RP tracks flat and true on an A- or B-road; the steering, in particular, is a reminder of why a good hydraulic system is hard to beat for power assistance. This remains a dirty, responsive small coupe - not a museum piece to lock up in a garage and look at. Uprated Alcon brakes were fitted to the Racing Puma, with larger, ventilated discs and stronger four-pot grabbers bringing strong, urgent deceleration; these race-bred rotors require careful servicing, however. And the interior is a shrine to Alcantara: grippy Sparco bucket seats hold you hard and are upholstered in electric zingy blue, as is the steering wheel (a disappointingly Fiesta-based helm) and door cards. It's all a bit 1990s but there's no denying the sporty effect. Note also the Lego-era Ford radio controls and anti-theft removable stereo panel: blissfully simple, uncomplicated, work well. The Racing Puma deserves to be remembered as a modern Ford great. It’s from that era of fast Fords which fizzed with feel, redolent of Richard Parry-Jones era magic: steering feel, tactile gearshifts and a handling delicacy at odds with its humdrum supermini underpinnings. 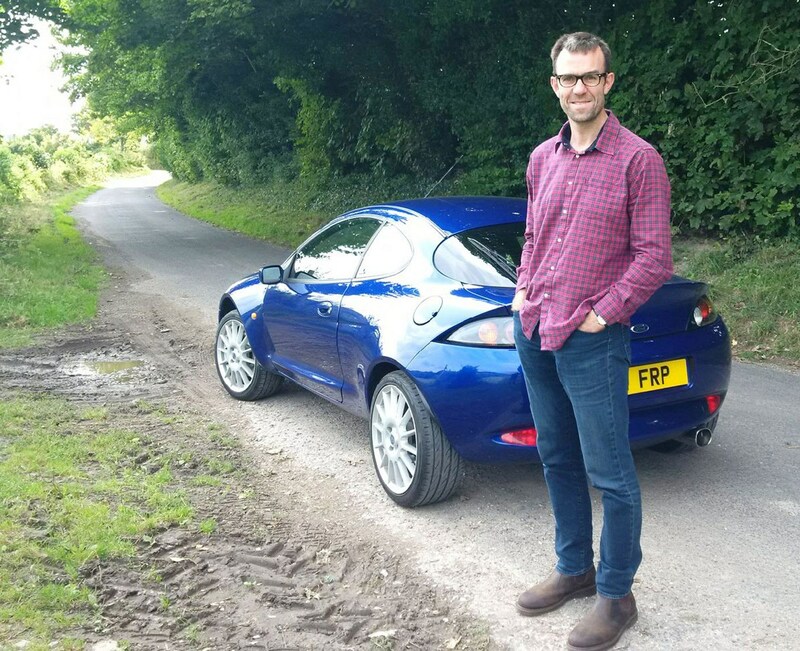 It’s amazing how much has changed in the two intervening decades, but a blast in Ford UK’s heritage Racing Puma reminded us of the dying art of democratically priced sports cars. At the time, its steep purchase price of £23,000 held it back (it was costlier than the more powerful, race-bred Subaru Imprezas of the day) but today they trade for very similar values. A tidy example will set you back around as much as £18k (cheaper ones start at around £10k). Find a nice one, and you'll own a distinctive, sweet-driving small coupe of the sort that most manufacturers are now deserting in droves, in favour of modestly proportioned SUVs. Grab one while you can.